Musician/Comedian A Plus is ‘angry’ with John Dumelo and has completely torn into the actor for a post he made on Instagram earlier today. 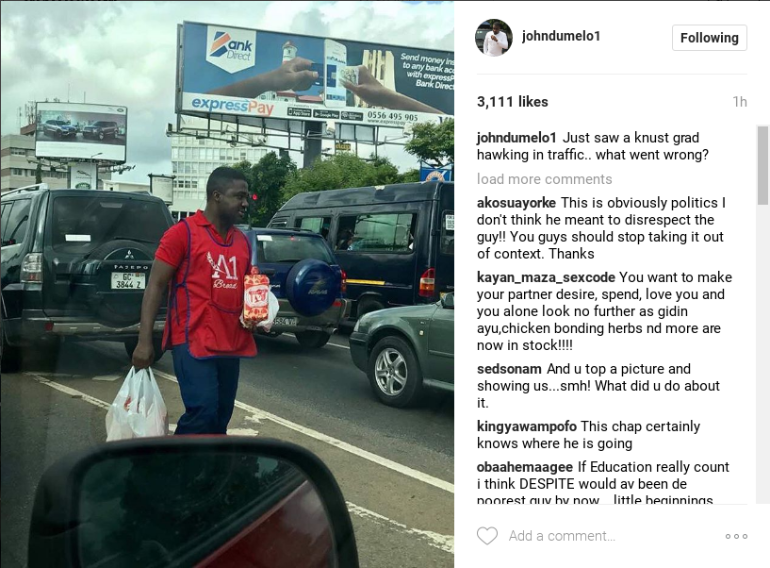 Dumelo posted a photo of a man hawking bread in traffic, wondering where it went wrong for the hawker, a KNUST graduate. A Plus, in a response on Facebook, forcefully called on Dumelo to take down the post and apologise to the gentleman. According to him, hawking is a profession and better than becoming a criminal. I’m angry!!! Everyday I post my opinion. Today I’m posting my anger. John Dumelo remove this post from Instagram now!!! A bread seller is a human being. You can’t just take pictures of people and post it in your page for attention. A bread seller has right which must be respected. A bread seller is better than an armed robber!!! A bread seller is better than a drug dealer!!! It’s better for a person to hawk on the streets than to indulge in crime. I’m looking for this bread seller. 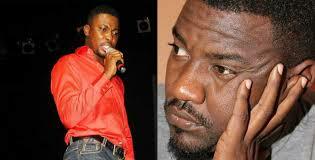 John Dumelo must apologise to him. Or prepare for a legal battle!! !